A two component 100% solids epoxy coating designed to be applied to metallic substrates with a surface temperature ranging from 50C to 140C. 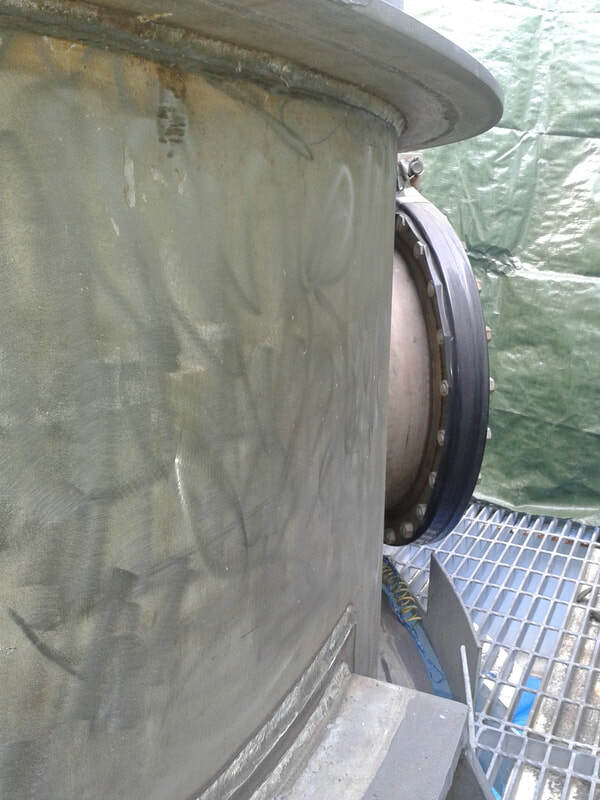 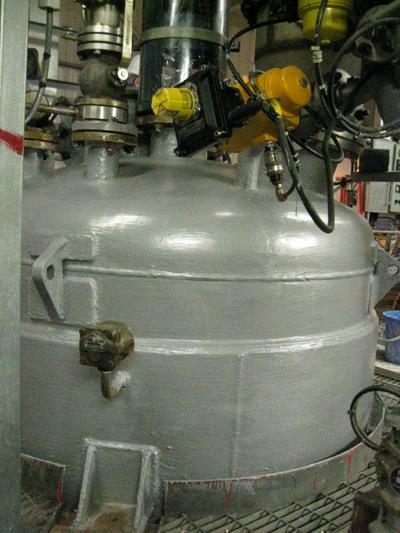 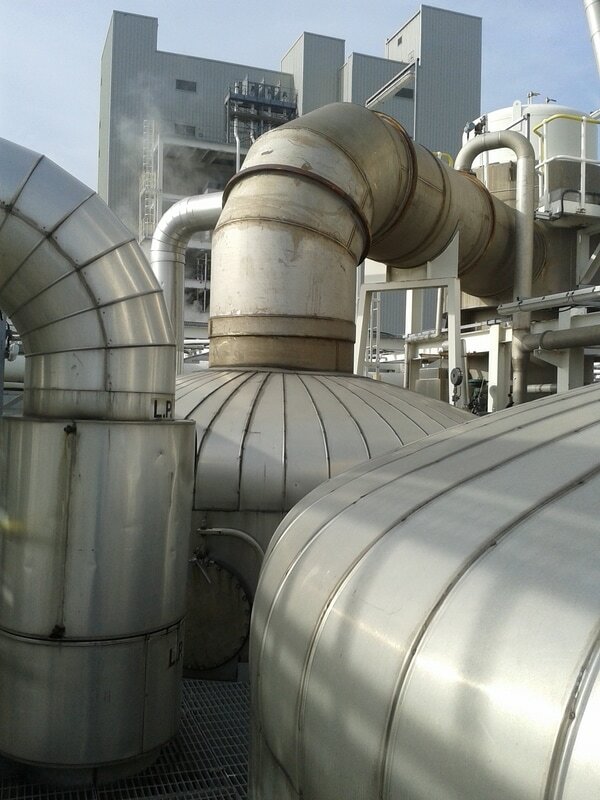 Evaporator operating on a large UK chemical complex were suffering from corrosion under insulation. 561 Thermal Barrier was applied at a wet film thickness of 4mm onto the hot surface (95C). 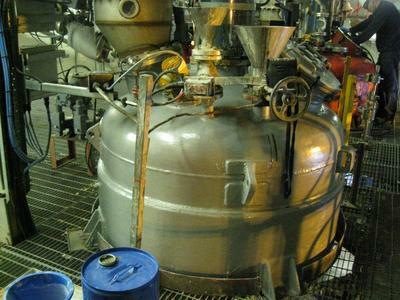 The film thickness was built up with multiple coats of the material. 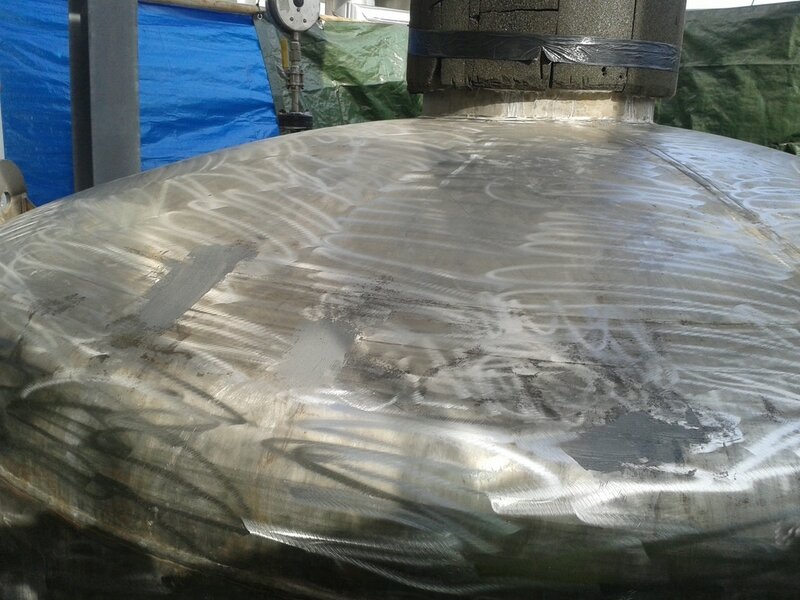 Once cured the surface temperature was measured at 45C. 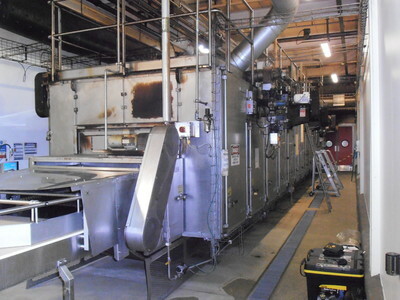 Oven for a multinational food manufacturer was coated with 3mm of 561 Thermal Barrier. 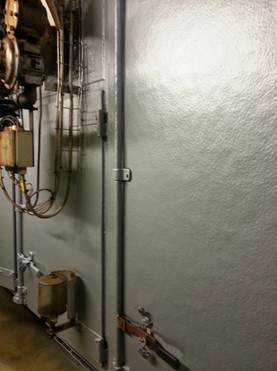 The customer required a coating system that would reduce heat loss and the surface temperature. 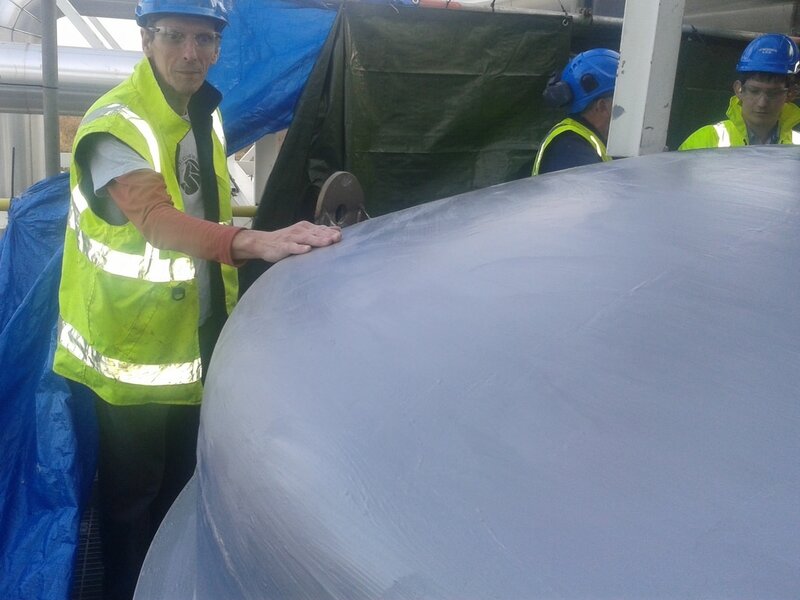 561 Thermal Barrier was checked over a 6 month period and found to reduce energy consumption by 2-3% and the surface temperature by over 50% to below 40C. Resimac was awarded the contract to coat and insulated several reactor vessels for a large UK based chemical manufacturer. 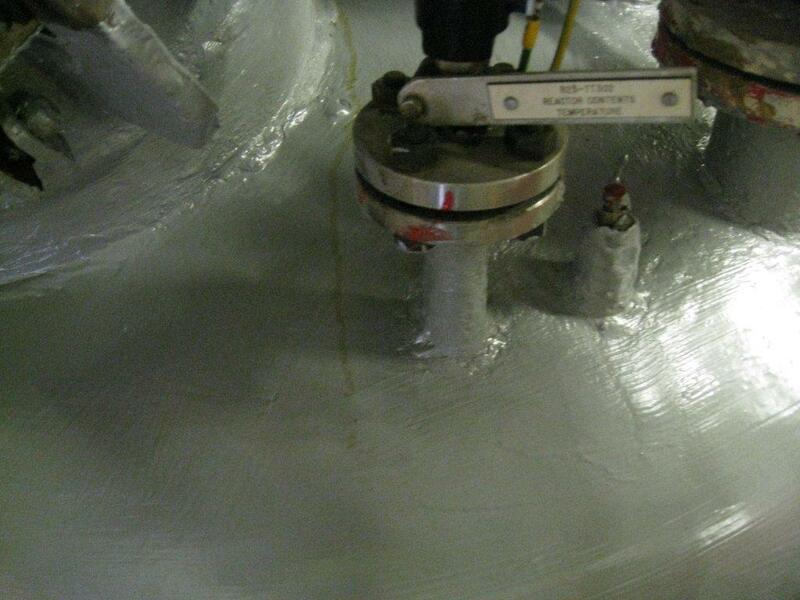 The vessel's surface temperature was measured at 90C and was suffering from corrosion under insulation. 561 Thermal Barrier was applied to a dry film thickness of 3-4mm. 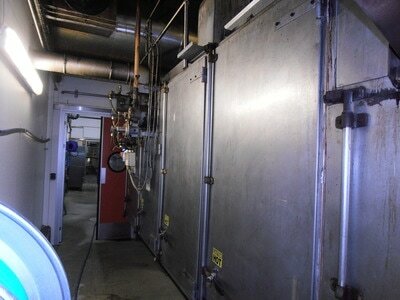 The surface temperature was measured at 37.5C down from 90C.